Where Is This Flat Earth? A Question for Flat Earthers. I hope you can answer my question. Over and over again folks keep saying they can see that the earth is flat. They use all kinds of tests and experiments to prove their point. It is obvious that NASA (never a straight answer) is making up stuff as they go along. They use creative graphic artists to give us these amazing pictures, do-dads and what-nots to give us what they THINK it must look like out there. Okay, so you got me to this point. But what I want to know is this, if the earth is flat, then what is the Earth flatly on? If so, where is the water coming from? What is the water encased in? Is it a flat dome covered spaceship, floating out in space? Is it a stationary flat doom covered spaceship. Is the earth and all of its inhabitants just a fig-newton of someone’s imagination? Cause you see, unless you can tell me the actual location of this flat dome covered big ole rock then it stands to my reasoning that it may very well be flat, but it has to be held up by something. Throw gravity out of the window, what is holding this flat dome covered rock in place? 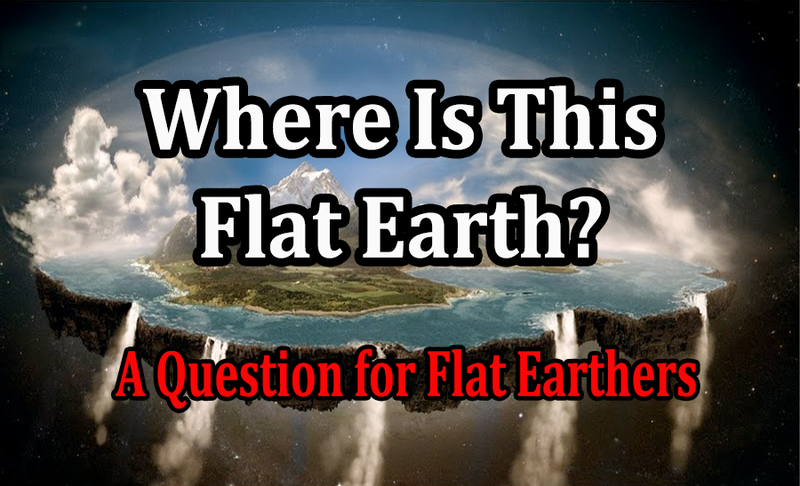 I think that if flat earthers cannot answer that question and present specific evidence that the Earth is indeed flat, then the debate will go on endlessly because the real questions are not being answered and that is….. Where is this Flat Earth located in the scheme of things and how is it being held up, contained, held stationery, immovable, and all the other answers that would make this flat earth notion fly.. I really don’t care about what this so-called Vatican Astronomer has said, it’s disengenuous to accept some things they say and ignore other stuff they say and do. Either they are gonna be impeccable points of light when it comes to truth, or they are just liars telling a little truth like the rest of them. Where is the real answer? Who has the real answer? And when will it be revealed? Many Flat earthers consider themselves Christians, however, they also believe that Christ ascended into heaven. If the earth is covered by a dome, then what heaven did he ascend into. Did he ascend into a hole in the dome? And if so, how come his ascension did not cause a full scale flooding of the planet? How can you have it both ways? How can you even believe he is coming back to save the world, and he will be in the flesh, yet you cannot say where he even went, and if we are living under a dome, and he ascended in the flesh, then how did he get through that dome? So back to my original question. Where is this Flat Earth located in the scheme of things and what is it anchored upon? The new Cosmos TV series airing on Fox? Dead Giveaway!! Do you like this dude?? Actually, I really don’t care for his science, but this article is interesting, I should call it an interesting spin on Science, because clearly, the scientists and the fundamentalists are flip sides of the same coin. What they each call “provable evidence” is based on a belief system that is hardly verifiable due to the limited analysis they both stand use. Neither will move outside of their own paradigm. Neither will budge in the face of facts that do not align with their world view. Each of them have conferences, write books, set up educational systems, debate and demonize others who do not comply with their belief systems. Science is a belief system that works in some cases but is subject to continued experimentation and analysis, all the while claiming each new discovery as the final “truth”. The extreme of fundamentalists on the other hand, will continually refer to their world view as the fundamental and true frame of reference. Both extremes keep these two teams battling within and without their circle for dominance of their position. However, there is a deeper meaning of life than what can be scientifically proven, tested and verified, there is more to life than can be reference in the fundamentalists doctrine. There is the unseen, the unpredictable, the unknowingness, the indescribable and definitely the unmeasurable that neither the Scientists can “physically” prove it exists, or the fundamentalists can gather references in their doctrines. Additionally, they both want to believe that they “know” what happened when the Universe was created. They pull together a series of proofs with such authority that to question it makes you a skeptic, heretic or conspiracy theorist. For this reason, such limited science and religion will have these two groups spinning around on their self created treadmill, both fearful of the unknowable. 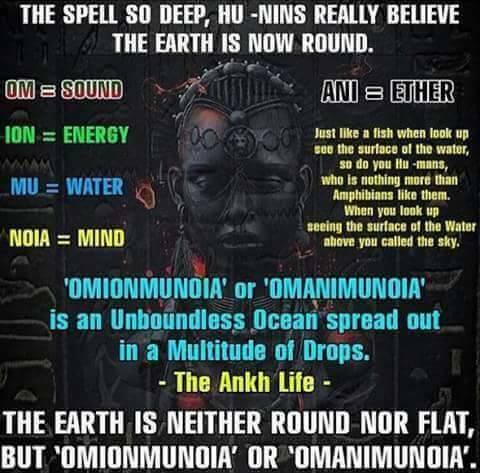 Indeed the one system they both defy is the paranormal. 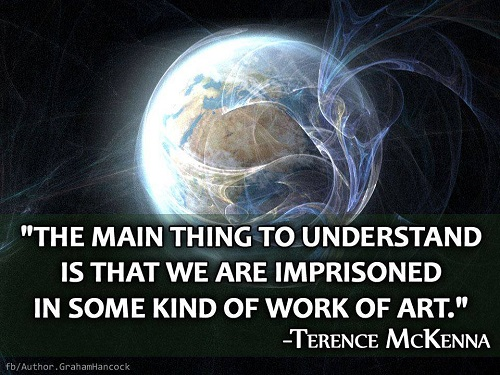 Until they realize this, the strides they make into understanding the universe and all that’s in it from a scientific or spiritual/religious point of view will continually be flawed. Unfortunately, what typically happens is the so-called “death bed” confessions. By then it is too late. The Masses have all been brainwashed. The impact of changing your story midstream can be catastrophic to those who “follow” without question and conform without inner discernment. Ultimately, the “deathbed confession” is cast aside, considered the ravings of a madman, or creates such cognitive dissonance that many will simply go back to sleep. Thus, the two institutions on this Human Planet, who have the responsibility to bring Humanity to the deepest knowledge of self and science… fails!!!!!! Humanity continues to process and reprocess the fallacious doctrine of the scientists and the fundamentalists. Humanity becomes polarized and remains unable to balance the two extremes within themselves. IE, scientists cannot espouse a spiritual doctrine and fundamentalists cannot espouse a scientific doctrine. Humanity remains cemented to 3D reality of polar opposites for eternity until such time as this major bridge is gapped. Let me just add, that this is ONLY the fate of those who conform to the Western modalities of Science and Religion. Indigenous societies for as long as humanity has inhabited this planet are at the center. 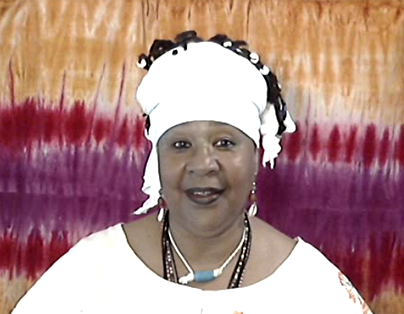 Their science and spiritual beliefs support each other. The new Cosmos TV series airing on Fox is a worthy reboot of Carl Sagan’s original. 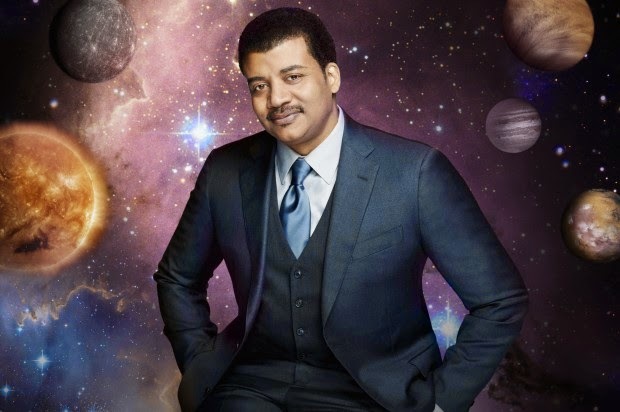 Following in Sagan’s footsteps, host Neil deGrasse Tyson takes viewers on a voyage through the outer reaches of the solar system and beyond, showing how our sun is just one star out of a hundred billion in the majestic spiral of the Milky Way galaxy, and even the Milky Way itself is a speck in the observable universe. As in the original series, he compresses the history of the universe into a single year, showing that on that scale, the human species emerges only in the last few seconds before midnight on December 31. Sagan’s Cosmos was due for an update, and not just because our computer graphics are better. Since the original series aired, we’ve sent robotic rovers to Mars, sampling its rocks and exploring its history. 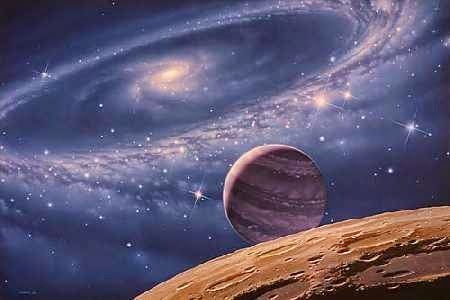 We’ve detected hundreds of alien planets outside the solar system, finding them by the slight gravitational wobble they cause in their home stars, or by the brief dips in light as they pass across the star’s face as seen from Earth. We’ve found the Higgs boson, the elusive and long-theorized particle that endows everything else with mass. We’ve discovered that the expansion of the Universe which began with the Big Bang is accelerating, driven by a mysterious force called dark energy. All these scientific advances deserve to be recognized and celebrated.